THE past year has been busy for Upendra Tripathi. The owner of LB2 Lounge onA�La Bourdonnais street, is all set to launch the project he has been working on since March 2015. The LB2 Rooftop is his new 800 square feet bar that was introduced to friends last Saturday, and where Pondicherry-based Sleepwalker played to a crowd of about 75.
a�?For me the rooftop bar is an extension of the lounge,a�? says the 45-year-old Tripathi. The two entities happen share the menu and kitchen. 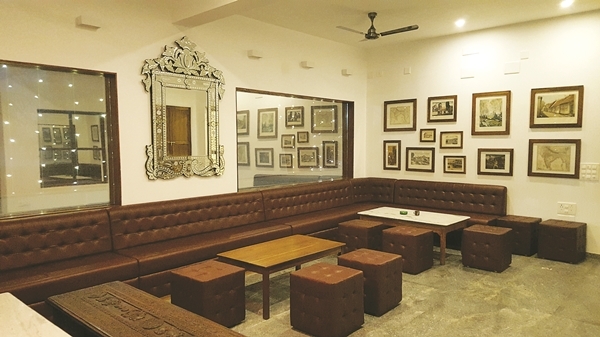 Of his new venture, the Jaipur-born owner says, a�?Vincent Roy from France did most of the furniture while the bar stools are done by Pondicherry-based furniture brand Aquamarine. The flooring is concrete so is the bar counter, which is also waxed.a�? Tending the bar is E Rajesh who will whip up cocktails and mocktails like the long island iced tea, cosmopolitan, and mojitos apart from his own creationsA�like Pinkcolition made of vodka, cointreau, cranberry juice and grenadine syrup. Chef Sam V Mathew from Kerala prepares specials like coq au vin, porchetta and Kerala fish curry. The house and lounge music is hand-picked by Tripathi, who says, a�?Just eat good food, have good drinks and when the mood sets in, start dancing.a�? He has plans to bring international DJs on Saturdays, and also intoduce ladies night and karaoke sessions soon. The bar will launchA�officiallyA�by the end of the month.